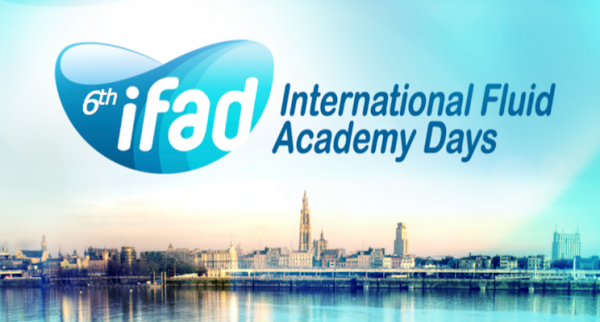 Join us in Antwerp, this year, the end of November (23-25) for the 6th International Fluid Academy Days (iFAD), a concise 3-day symposium on fluid management and organ function monitoring in the critically ill.
We are very pleased to announce the 6th International Fluid Academy Days (iFAD), which will take place on November 23-25th 2017 at the Hilton Hotel in Antwerp, Belgium. The iFAD is an innovative Critical Care Educational meeting in true SMACC spirit. This conference provides the highest quality of Critical Care education and is guaranteed to innovate and inspire. Recent advances in fluid management, and hemodynamic and organ function monitoring in the critical care setting will be reviewed in a comprehensive manner for intensivists, anaesthesiologists and emergency physicians as well as interested internists and surgeons. The IFA website is now officially SMACC affiliated and HONcode certified. The iFAD Faculty is the most provocative, engaging, motivating and inspiring group of international educational speakers and as organizing committee we want to ensure we have the participants, sponsors and endorsers to match. Together, we make iFAD stand apart from other Critical Care conferences. What ’s in the program and registration at a glance for 2017? A plenary and parallel sessions format only featuring the best of the best (PROGRAM)! The most incredible venue: the Hilton Belle Epoque Ballroom (VENUE)! In view of the upcoming 6th International Fluid Academy Days (iFAD) we need your opinion on some hot topics regarding sepsis, fluid resuscitation and hemodynamic montoring. Receive (programme) update notifications from organizers.